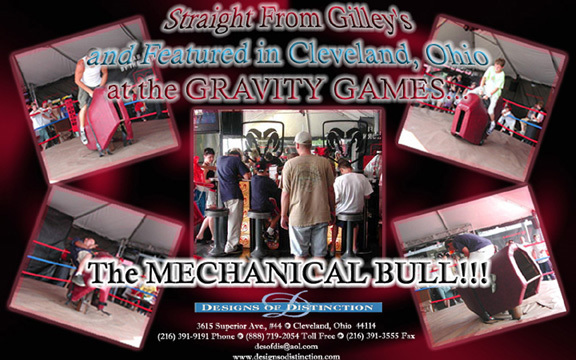 The ever popular classic, automated bull ride. Participants climb aboard and try and remain in place while it bucks and rears around. Not to worry, though, when you do eventaully come off, the bull is completely surrounded by an inflated mattress.